Advancement team Yearns will help to plan and implement the college's strategic fundraising programs. A 2005 Greensboro College graduate with a degree in English/Communications, Yearns has worked at Guilford College since 2006. 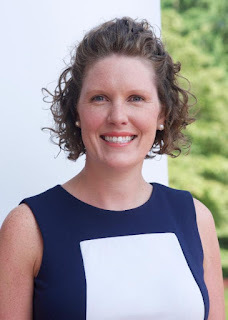 She has 10 years of successful fundraising experience at Guilford, starting as assistant director of annual funds and rising to senior director of annual giving and finally senior director of philanthropy. "We are thrilled to have Ellie Yearns join our Institutional Advancement team," said Anne Jones Hurd, vice president and chief advancement officer for Greensboro College. "Not only is she an alumna with a deep love and appreciation for Greensboro College, but she brings a decade of experience in higher education development to our program. Having worked with Ellie in the past, I know firsthand her depth of knowledge of fundraising and strong work ethic. We are fortunate to have her join us as we enter this period of growth in our advancement program."